In 1925 famed English explorer and archaeologist Prof. Nathaniel Grey, along with his son William, have gone missing in the Amazon on a quest to find the legendary city of El Dorado. Retired explorer, Samantha Grey, takes the search for her husband and son into her own hands. Along with her two young daughters & Governess they embark on an incredible adventure into mysterious jungles full of strange creatures, exotic animals, fearsome tribes and an ancient evil! 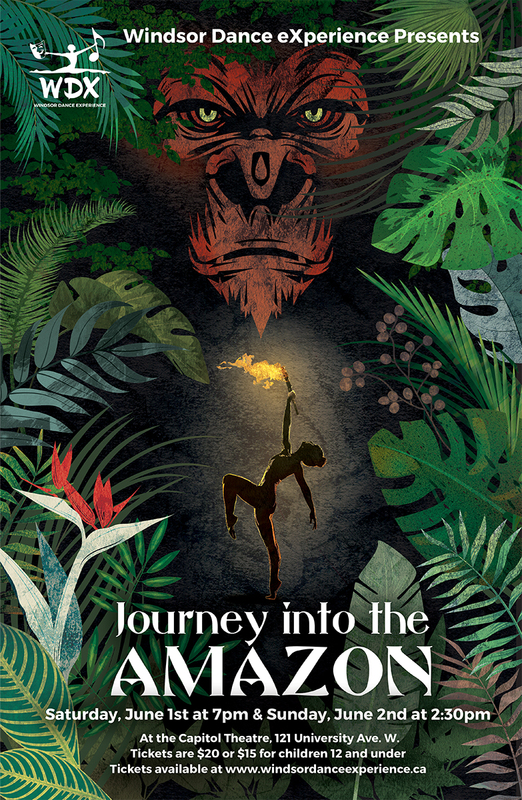 It’s a journey into the unknown, a journey to save their family, a journey into the Amazon! This show features 50 local dancers ages 11 to 30 and is recommended for ages 11+.